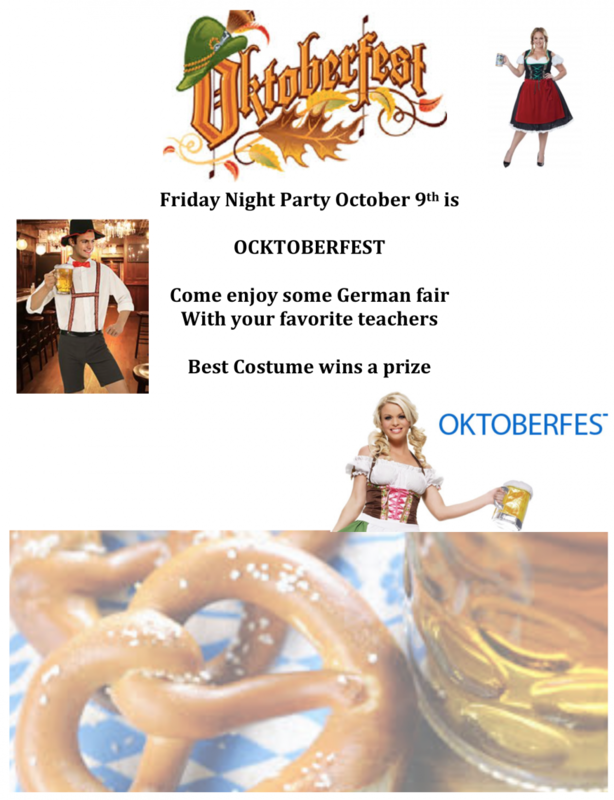 Oktoberfest a traditional autumn festival held in Munich, Germany, every October that features beer-drinking and merrymaking, we at Fred Astaire Reston love Beer and Merrymaking! Polka is defined as a vivacious couple dance of Bohemian origin in duple time; was a basic pattern of hop-step-close-step; a lively Bohemian dance tune in 2/4 time. The polka was originally a Czech peasant dance, developed in Eastern Bohemia (now part of Czechoslovakia). Bohemian historians believe that the polka was invented by a peasant girl (Anna Slezak, in Labska Tynice in 1834) one Sunday for her amusement. It was composed to a folk song “Strycek Nimra Koupil Simla (Uncle Nimra brought a white horse).” Anna called the step “Madera” because of its quickness and liveliness. The dance was first introduced into the ballrooms of Prague in 1835. The name of the dance (pulka) is Czech for “half-step”, referring to the rapid shift from one foot to the other.